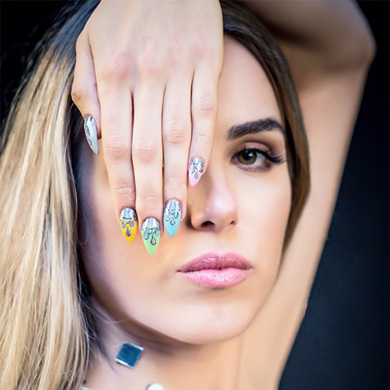 At the 2018 Met Gala, the “Heavenly Bodies: Fashion and the Catholic Imagination” theme inspired celebrities to pull out all the stops and make a bold statement. 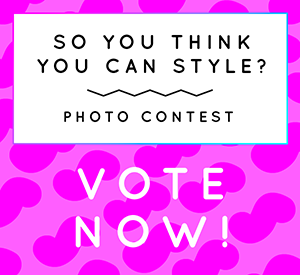 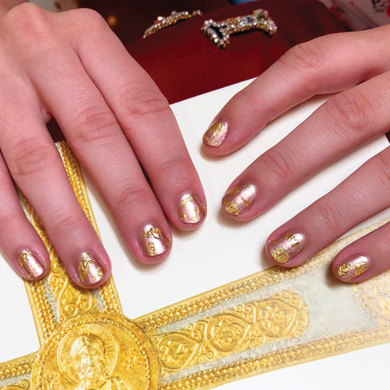 With a more literal take on the gala’s theme, singer Ariana Grande sported an intricate Sistine Chapel nail design. 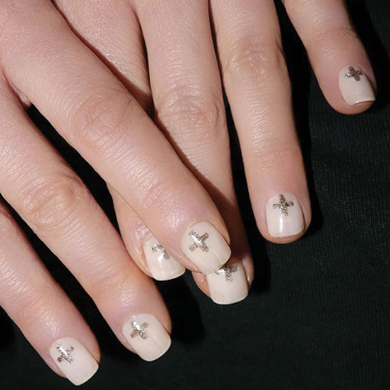 No stranger to risk-taking nail art, model Gigi Hadid wore a gold embellished mani that featured hand-painted lines. 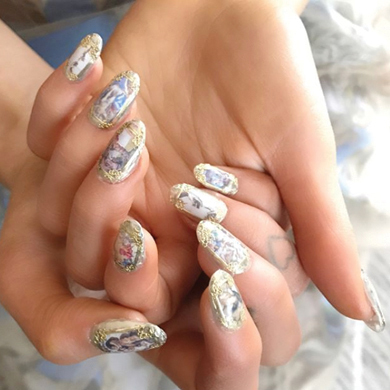 To accent her corset gown, Riverdale star Lili Reinhart’s nails featured a rose-gold metallic base topped with gold leaves. 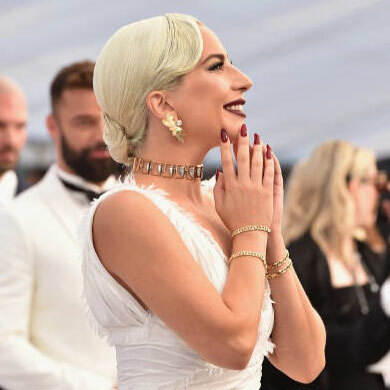 With a minimalistic approach, Game of Thrones star Emilia Clarke wore a light pink shade adorned with gold-glitter crosses. 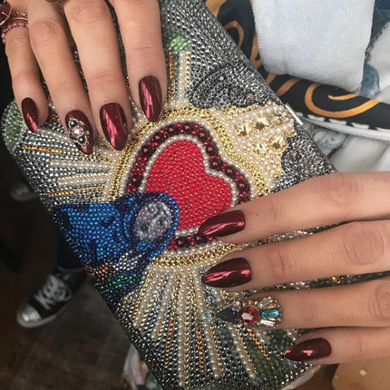 Actress Blake Lively sported a stained glass mani with red-metallic chrome and Swarovski-encrusted accent nails. 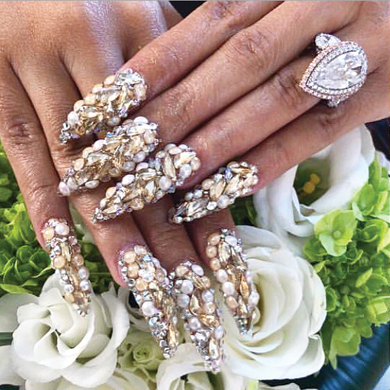 Rapper Cardi B brought the bling in an over-the-top crystal- and pearl-encrusted stiletto mani. 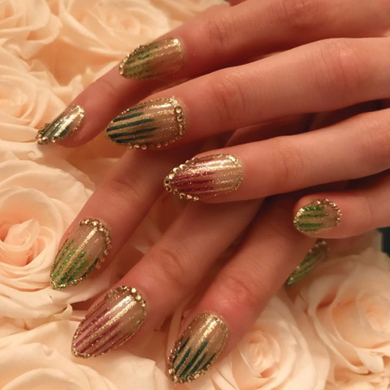 Actress Olivia Munn wore a red wine and gold mani featuring stripes, studs and crosses inspired by the body armour of the Crusades. 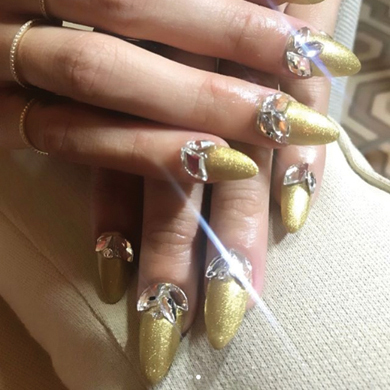 Model Jasmine Sanders lived up to her social media handle (@golden_barbie) with her shimmering gold nails embellished with crystals. 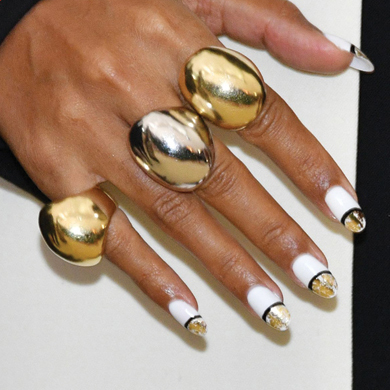 Singer Janelle Monae rocked a black and white mani featuring half-moon metallicgold tips.